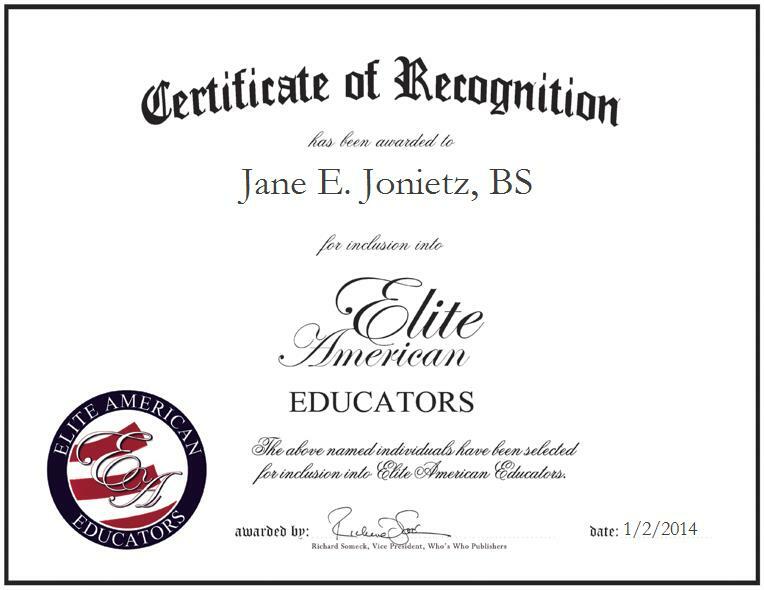 BROOKFIELD, WI, January 2, 2014, Jane E. Jonietz, BS, Second Grade Teacher at Mother of Good Counsel, has been recognized by Elite American Educators for dedication, leadership and achievements in primary education. 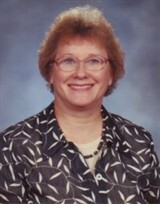 Ms. Jonietz has been working for Mother of Good Counsel for the past 36 years and has garnered a reputation as a respected leader and teacher who excels at teaching all subjects and preparing students for Holy Communion. Ms. Jonietz became a teacher because she was interested in the field and school sociology. She greatly enjoys watching and helping her students succeed in their academic lives and grow into mature adolescents. Aside from her work at the school, Ms. Jonietz serves as the secretary of her conference for the St. Vincent de Paul Society. Ms. Jonietz completes an annual report of the work and keeps track of how it spends donations. She is also on the training team when new people join the Society and is a member of the committee that plans a special Mass that is celebrated at Polishfest each summer. Additionally, for the last 25 years, Ms. Jonietz has been a Eucharistic Minister at St. Luke Hospital. Ms. Jonietz attributes her success to the support she receives from her mentors, her students and their parents. She earned Bachelor of Science in education at the University of Wisconsin, Milwaukee.